Wet Your Whistle at Bar 31! Looking for that drinking establishment that is quaint, cozy and friendly??? 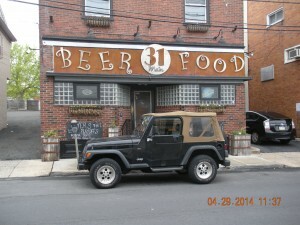 Stop in at Bar 31 in Ambler and meet the owner Sam and have a great time! Philly sports always on the big screen! Wide selection of craft beers! Not your typical local bar, but a great place to meet the down home crowd. Located at 31 N. Main Street, Ambler, PA (right next to Deck’s Hardware) with plenty of street parking. If you need cash, Bar 31 has an ATM! So have some fun and stop on in! See you there! Diana Hatboro Nails! Check them Out! Car & Van World…We Finance the Planet!